Elizabeth Warren은 Amazon, Google 및 Facebook을 해체하고 싶어합니다. • 금요일 아침 엘리자베스 워렌 (D-MA)은 2020 년 대통령으로 선출되면 아마존, 페이스 북, 구글과 같은 하이테크 거인들을 분할할 것이라고 맹세했습니다. • 불과 몇 시간 후, 그녀는 뉴욕시의 롱 아일랜드 시티에 도착하여 최근에 그 중 한 회사에게 위협을 느낀 지역 사회에 자신의 제안을 제출했습니다. • 그녀의 제안에 따르면 워렌은 선출된다면 페이스북이나 구글 같은 회사가 한 인수기업을 다시 자신의 회사로 되돌릴 수있는 규제 기관을 임명 할 것이라고 밝혔습니다. • 기업에 대한 비판은 의회에서 일반화되어 있지만 워렌 정도로 거대한 하이테크 기업을 해체하는 것의 중요성에 대해 명확하게 말하는 정치가는 없습니다. Breaking up a company presumes you identify separate , stand-alone units that are being cross-leveraged unfairly. You could have made that argument about Windows and Office. But it doesn’t automatically apply to any big company you want action against. Meanwhile, arguing you should split up Amazon is like splitting up Walmart - into what? It’s a single logistics platform (and no, AWS is not subsidizing the rest of the business. Read the accounts). It's interesting how telecom gets excluded from these conversations. Comcast and AT&T are broadcasters and news empires that have monopolized access itself. With grand ambitions to be every bit as bad as Facebook in the online ad space. If you think some intervention is needed against some industry or company, you need to define what exactly the harm you’re addressing is (‘they’re big’ is not good enough), and how the specific remedy you propose changes that. ‘Break it up’ is not a policy analysis. Warren's proposal would do interesting things to companies like Microsoft, too. If I'm reading it right, MS could not both own a store on Windows and Xbox, and also sell their own apps and games on it. They'd have to split off parts of their business. Warren making a long comparison between platform companies like Google and Facebook and railroad monopolies -- a comparison most people usually make to ISPs. This is something conservatives have traditionally been doing, not mainstream Dems. So, splitting AT&T by region just replaced a national monopoly with regional monopolies. Not a success. And you could argue for splitting YouTube from Google or Instagram from Facebook, but what does that do to the strength of Search or the Newsfeed? 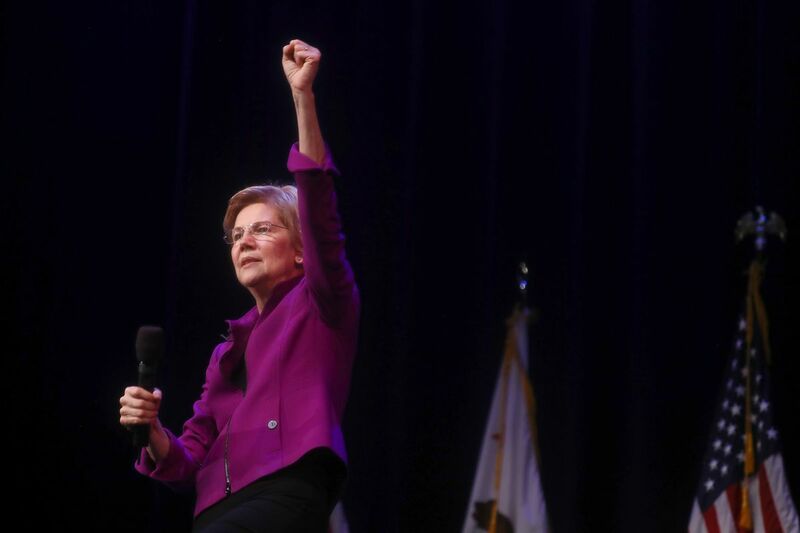 Elizabeth Warren Wants To Break Up Amazon, Google And Facebook; But Does Her Plan Make Any Sense? https://t.co/pZgt0oUrRi via @Techdirt no it doesn’t, well said!